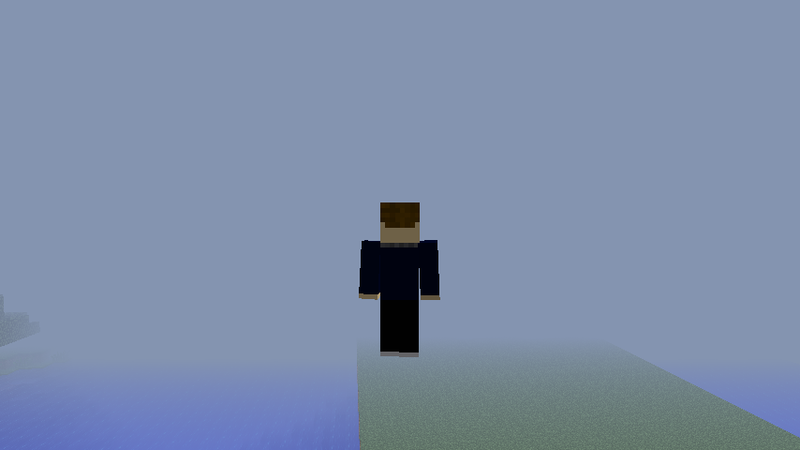 Hawk-Note is a death note recreation in minecraft. I estimate each episode would take 5 days minimum to make... So that's what, around 150 days? If we work constantly... A few rules will need changing, like rule #4: If the cause of death is not specified, the person will simply burn to death. edit: Huge understatement, make that 2 weeks minimum if conditions were ideal and i had absolutely nothing else to do. Anyone can volunteer, as long as you have beta. i want to volunteer, but i dont know who i should be. I'll probably change the beginning once we get some more footage anyway. I made my own matsuda skin, the tools i used were Skincraft (http://www.newgrounds.com/portal/view/571250) and Gimp (http://www.gimp.org/). You can get it from the first post. If any of you end up making a skin, make sure you get the suit color right (they all have slightly different suits). I don't want to burst any bubbles, or anything like that, but we need to make sure that legally, we're allowed to recreate copyrighted content. Although disclaiming that the content used within the video is owned by the developers and publishers of the DeathNote Anime, if the devs or publishers ever found out, they can opt to remove the videos at their own discretion from Youtube. Similar situation with the Dragonball Z Abridged episodes. Although they disclaimed that the product was a non profit parody, and the content was all owned by their respective copyright owners, the publishers of the Dragonball anime still pulled the videos off Youtube. The easiest way around this is to state at the beginning of every video, that the content is copyright to their respective owners, including Hawknet Computing Ltd (even though we know). I've already taken that into consideration, I'm just trying to make sure i don't leave anything out. Hawknetcomputing and the hawknetcomputing logo are owned by Hawknet Computing Ltd."
The following is a fan-made non profit video. Death Note and its soundtrack are owned by VIS Media, Madhouse Animation, Sheuisha, and Tsugumi Ohba. Hawknet Computing and the Hawknet Logo are owned by Hawknet Computing Ltd.
may suffice, but if any of the copyright holders suggest you take them down, you must do so as soon as you can. Audio and visual declarations of this statement must be made at the beginning of all video and/or content holding any of the copyright. For the audio, you can speed it up to fit within a small time slot, however it must still be decently audible and suitably, not last any less than 5 seconds. For refrence, check out the DBZ:A videos, however FUNimation and Toei Animation requested Youtube to close their channel and remove the videos due to copyright infringement. Of course, Youtube not wanting to get into trouble, took the big companies side instead of properly reviewing and defending its users. Hopefully you won't run into an issue like that, but if that happens, Hawknet Computing Ltd cannot get involved unfortunately, since the issue directly concerns the content creator and the copyright holder. Since you're using two copyrights, and already have permission to use one, that's out of the question. Nice choice, of all the characters i think mikami is the most interesting. He has a story most people will be able to relate to. 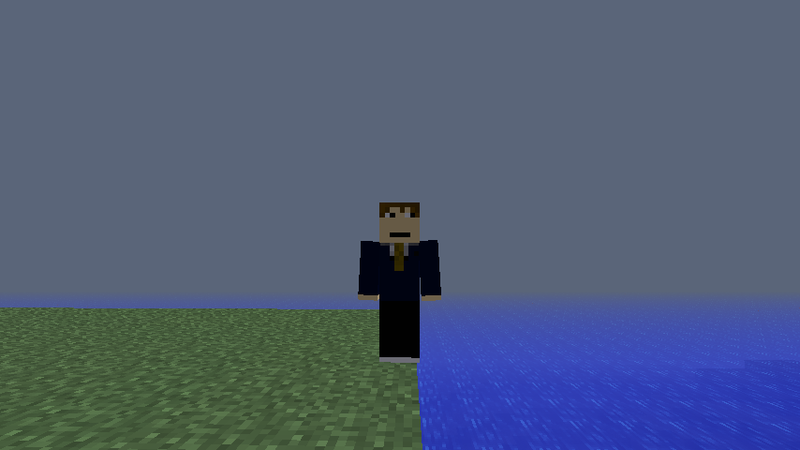 I've made a skin for Mikami. Added to first post. AS REDFOX requseted. Can I be 'Misa Amane'...? I can't tell if xerox is serious or not but i added his name to the cast list anyway If any of you have a powerful pc that you can record with on highest settings, don't hesitate to tell me I would prefer smooth 30+ fps video but I'm unable to achieve this with my system. My system can run it, and I'm sure I could make space for the footage somewhere on my 2TB of drive space, however I don't have a working editing suite, so you'll need to come up with some way to transfer 4.7GB files. If you could get the size down to 500mb or less that would be fine, but i think I'm going to try and record with a different program tomorrow and see if i get better results. What i really need is a better way to record in the game itself, like being able to "lock on" to a player instead of following them, but i don't know if such a thing exists. Getting each video compressed to that much, and then you compressing it again will reduce the quality tenfold, making it much, much worse. FRAPS records at the screen resolution of the game, and has options of halving it, or recording at a solid framerate if your system supports it. It can also take various audio inputs, but I doubt we'd need those. It also has the benefit of creating a product that is exactly what you saw. In other words, it's uncompressed, raw video, and splits the file into 4.7GB chunks, which you'll reach easily. Camtasia Studio, from what I remember at least, seems to do a good job, and has a mild editing suite, however it compresses the video, likely to a format that isn't the best for the content. Livestream Procaster has the feature of recording video, and the bonus of streaming it, however the recording is based off the stream rate to their website, and can randomly stop at any time if your bandwidth isn't up to scratch. Stuff like Hypercam, and other "popular" freeware/shareware ones are not ideal due to them using bad codecs and producing a low quality product. We need everyone under the needed list, you can be whoever you want And thanks zion, fraps is probably the best option for me. hey, when are we filming the next episode, by the way? We're still doing a lot of planning, I'm thinking about using the death note re-light movies as source material, then splitting it into 5-10 parts for each season. ive started watching deathnote now, so i actually have an idea of what this is all about ^^ it is very addicting. Can i be a part of this project ? I meant to post this yesterday, but apparently i hit the preview button instead of the submit button. Once again, anyone can join, just tell me what character you want to be. And I wont be able to continue without a decent laptop cooler, my temps go sky high when I'm recording and playing at the same time, even with the fan running at 100 percent my clock speeds are always throttled within 2 minutes (causing my frame rates to spike). Just raising the laptop reduces the temperature by as much as 5 degrees, so with an actual laptop cooler i should be able to record with no problems. Unfortunately it will be at least a week before I'm able to acquire a decent cooler, but I've found a lot of good background music and i have a few scenes fully planned out. hmmm can i be soichiro yagami? That is what i meant, and yes you can be soichiro. I've found a way to increase my fps by approximately 25%, What I've done is moved my entire minecraft installation to ram using a program called "RAMDisk" (This almost completely eliminates lag from loading chunks), I've also slightly overclocked my gpu. Anyone who is interested, here are some links. And if anyone wants to try making skins, i would really appreciate it.